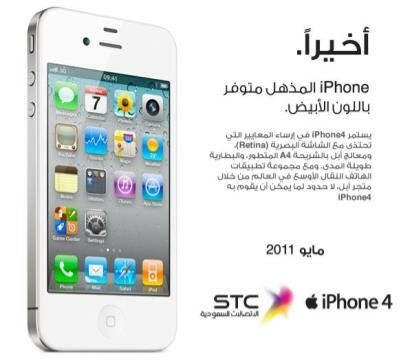 Saudi Telecom Company has announced on their website that they will start selling the Unicorn white iPhone 4 in Saudi Arabia during this month. “Now available” then “May” makes no sense though. Do they give prepaid packages or just postpaid with iphones? can iphone white be bought any other store in Jeddah?